Read the full transcript of Julian Assange’s speech from the Ecuadorian Embassy in London, on August 20. Julian Assange: I am here because I cannot be closer to you. Thank you for being here. Thanks you for your resolve and your generosity of spirit. On Wednesday night, after a threat was sent to this embassy and the police descended on the building, you came out in the middle of the night to watch over it, and you brought the world’s eyes with you. Inside the embassy after dark I could hear teams of police swarming up into the building through the internal fire escape. But I knew that there would be witnesses. And that is because of you. If the UK did not throw away the Vienna conventions the other that is because the world was watching. And the world was watching because you were watching. The next time somebody tells you that it is pointless to defend those rights we hold dear, remind them of your vigil in the dark before the Embassy Of Ecuador, and how in the morning the sun came up on a different world and a courageous and a courageous Latin American nation took a stand for justice. And so to those brave people I thank President Correa for the courage he has shown in considering and granting me political asylum. And so I thank the government and the Foreign Minister Ricardo Patino who have upheld the Ecuadorian constitution and its notion of universal rights in their consideration of my case. And to the Ecuadorian people for supporting and defending this constitution. And I have a debt of gratitude to the staff of this embassy whose families live in London and who have shown me hospitality and kindness despite the threats that they received. This Friday there will be an emergency meeting of the foreign ministers of Latin America in Washington DC to address this situation. And so I am grateful to the people and governments of Argentina, Bolivia, Brazil, Chile, Columbia, El Salvador, Honduras, Mexico, Nicaragua, Peru, Venezuela and to all of the other Latin American countries who have come to defend the right to asylum. To the people of the United States, the United Kingdom, Sweden and Australia who have supported me in strength even when their governments have not and to those wiser heads in government who are still fighting for justice your day will come. To the staff, supporters and sources of Wikileaks whose courage and commitment and loyalty has seen no equal. To my family and to my children who have been denied their father forgive me we will be reunited soon. 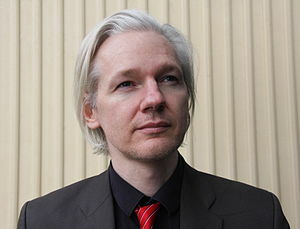 As Wikileaks stands under threat so does the freedom of expression and the health of our societies. We must use this moment to articulate the choice that is before the government of the United States of America. Will it return to and reaffirm the values it was founded on? Or will it lurch off the precipice dragging us all into a dangerous and oppressive world in which journalists fall silent under the fear of prosecution and citizens must whisper in the dark? I say that it must turn back. I ask President Obama to do the right thing. The United States must renounce its witch-hunt against Wikileaks. The United States must dissolve its FBI investigation. There must be no more foolish talk about prosecuting any media organisation be it Wikileaks or the New York Times. 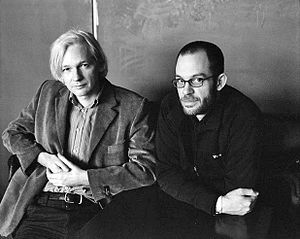 Thomas Drake and William Binney and John Kiriakou and the other heroic US whistleblowers must – they must – be pardoned and compensated for the hardships they have endured as servants of the public record. And the Army Private who remains in a military prison in Fort Levenworth Kansas who was found by the UN to have endured most torturous detention in Quantico Virginia and who has yet after two years in the prison to see a trial must be released. And if Bradley Manning really did as he is accused he is a hero an example to us all and one of the world’s foremost political prisoners. Bradley Manning must be released. On Wednesday Bradley Manning spent his 815th day of detention without trial. The legal maximum is 120 days. On Thursday my friend Nabeel Rajah was sentenced to three years for a tweet. On Friday a Russian band were sentenced to two years in jail for a political performance. This entry was posted in News Archive and tagged Argentina, army private, asylum, Australia, Bolivia, Bradley Manning, Brazil, Brisbane, Chile, Columbia, detention, Ecuador, El Salvador, Embassy of Ecuador, fbi, Fort Levenworth, Honduras, investigation, John Kiriakou, Julian Assange, Kansas, Latin America, london, Mexico, military prison, Nabeel Rajah, New York Times, Nicaragua, obama, Peru, police, political asylum, President Correa, President Obama, prison, public record, Ricardo Patino, Russian, Sweden, Thomas Drake, threat, United Kingdom, United States, Universal rights, Venezuela, Vienna Convention, Washington DC, whistleblower, WikiLeaks, William Binney by renaissancelearningfoundation. Bookmark the permalink.